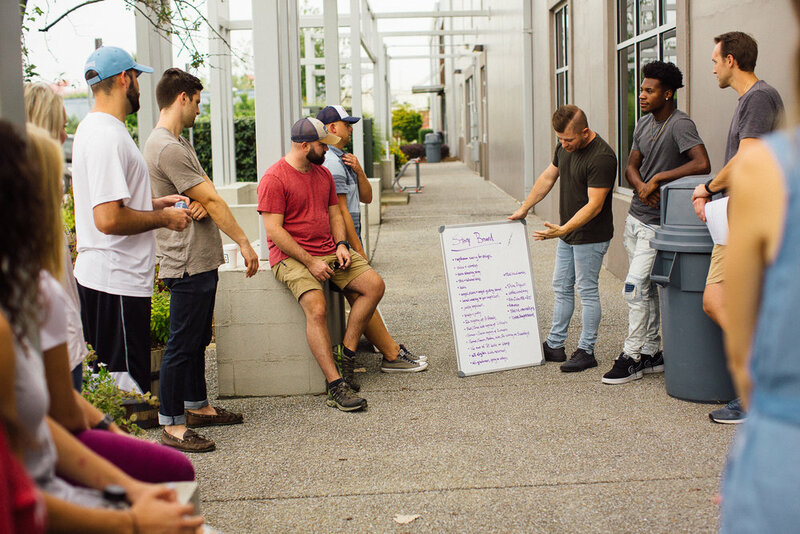 In the heart of Nashville, an extraordinary movement is taking place in the lives of inner-city teenagers. 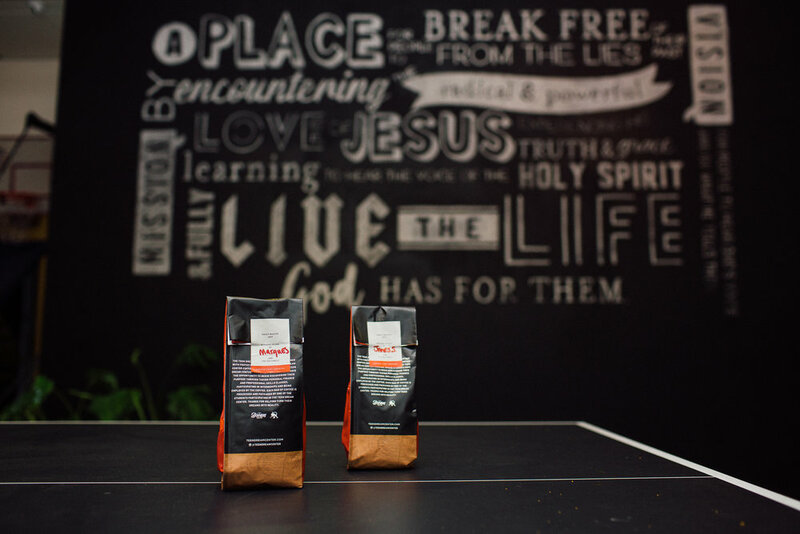 An often overlooked group is now being redeemed and encouraged through spiritual guidance, mentorship, and entrepreneurship. At the Teen Dream Center (TDC), seventh- through twelfth-grade inner-city teenagers gather weekly—and sometimes daily—to find a deeper meaning in their lives and to chase after big dreams they may have not thought possible. In 2015, leaders at Cross Point, a local church, discovered that 89 percent of students attending its downtown location services were from surrounding areas experiencing rising crime rates. As they began building relationships with these teenagers, they discovered a need for something else to help these students through their life journeys. The teens were craving a deeper life, while also needing the daily comforts many of us take for granted. “One student told me how sitting down for a family dinner was not a common thing in his life. Another student asked if he could take a nap in my guest room because he doesn’t have a quiet, safe place to rest his head at home. As simple as those moments seem, that was a point where I realized there was a need for an organization that could help change that in these students’ lives,” says Ketric Newell, TDC Director. This realization led to the launch of the TDC, a place where students could find rest, peace, mentorship, support, and confidence. The program started in May 2017 with sixteen students who were hungry for healthy growth in their lives. Each student was paired with a mentor who agreed to meet at least twice a month to encourage and pour into the student’s personal spiritual, emotional, and physical goals they had set for themselves for the year. Alicia, now a twelfth-grade student in the program, reflects on being scared to have a consistent mentor. “Gosh, I was so uncomfortable. I thought to myself, ‘I have to get close to someone? There’s no way I’m doing that. Usually people just turn around to hurt me or let me down.’ But after the first year, I realized that not everyone is against me. If anything, they’re here to teach me how to be different and accomplish my goals.” Coming from a challenging past, students like Alicia have been hurt by those they trusted. But through the program, they have learned to open up, trust, and take steps toward the dreams they have. “These friends and mentors have been there for me through the roughest times of my life. Around a year ago, when I became pregnant, they all came together to throw me a baby shower for my little girl. I never imagined I’d be loved and supported this much no matter what,” says Alicia. 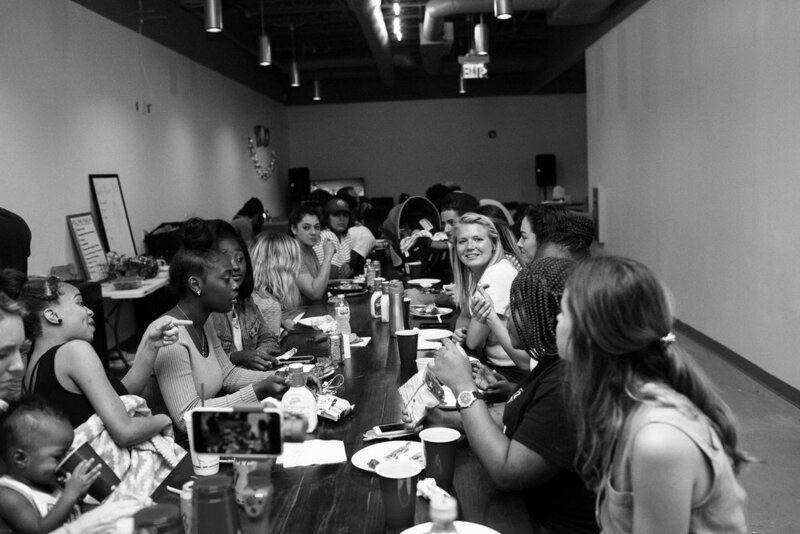 Every Wednesday, all of the mentors and students in the program meet for a “family” dinner, where they can all come together to deepen relationships, build each other up, and enjoy a fun sit-down meal in the middle of their week. This family dinner was started because of how many of the students have never taken part in the communal experience of a daily family dinner. “Every week seriously feels like a family reunion. We all catch up, goof off, help each other through the hard things, and eat good food. It is great because we all needed some sort of family environment like this one,” Alicia shares. Along with finding the much-needed, family-like community, the students find a safe place where they can step away from past hurt or habits and feel genuine love and encouragement to grow. Some of the teenagers in the program live in areas where their relatives are committing crimes or where gun violence deaths are occurring on their doorsteps. Trey, in the wrong place at the wrong time, went to jail for more than a month for crimes he did not commit. “We see amazing young men like Trey have all the odds against them, yet still keep seeking peace, community, and a healthy environment, and that’s what we’re here for,” states Ketric.